Stripped of his freedom and forced to live behind barbed wire in an Arizona relocation camp, Kanno burned with indignity but ultimately chose to work to unite rather than separate people, family and friends said. In 1957 — years after the war — he helped turn the farmland of central Orange County into a new city named Fountain Valley and then became the young town’s first mayor. Kanno, who died July 15 in Santa Ana after a fall, was among more than 100,000 Japanese Americans in the West who were assigned to internment camps — often no more than makeshift barracks hurriedly erected in the remote corners of California and Nevada. Families such as his were often split up in the process. 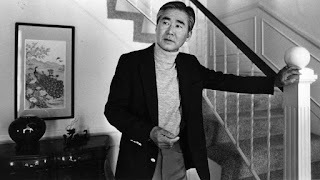 The government sent Kanno’s father to New Mexico, while he, an older brother and their mother were transported to the Poston Relocation Center in southwest Arizona, an area so remote that officials never bothered to erect guard towers to watch for escapees. After a year, Kanno contracted valley fever and was taken to Michigan for treatment because medical services for Japanese Americans in the West were restricted. Eighteen months later, he finally returned to what was left of his family home. The family’s neighbors in Orange County had continued to manage their farm and “turned over the next crop to them so they could sustain living expenses,” Kanno’s wife, Frances, recalled. The generosity struck a chord, and Kanno’s family began helping other Japanese American families buy farmland and settle in the wide open landscape of what would become Fountain Valley. The push to incorporate Fountain Valley was largely a defensive move by Kanno and other farmers to stall developers and speculators from buying up farmland on the cheap. Kanno then ran for the new city’s inaugural city council in 1957 and was the top vote-getter, and thereby its mayor. “He knew folks needed a way to protect themselves, and he decided the best way would be to incorporate, to create a city,” his son said. Kanno’s election briefly became international news, and he was interviewed on Voice of America and other programming broadcast abroad. While it was routinely reported that Kanno had become the first Japanese American mayor in the U.S., that claim is difficult to confirm. During his term on the council, Kanno helped lead the early push for the creation of Mile Square Park, now a sprawling regional park that was built on a naval landing field. Kanno stepped down from the council in 1963. He later served as chairman of the Historical and Cultural Foundation of Orange County’s Japanese American Council and routinely spoke about his internment camp experiences at local schools. Born Dec. 22, 1925, in an unincorporated area of Orange County then known as Greenville, Kanno was a track star at Santa Ana High School until he was sent to the relocation camp. He earned his high school diploma in the camp and later attended Marquette University before earning a degree in agricultural engineering at UCLA. In 1999, students at Santa Ana High School invited him to march with them during graduation ceremonies. Dave Kanno recalled his father offering sobering advice when he decided to run for class president in the seventh grade. John Collins, Fountain Valley’s current mayor, recalled being sworn in to office by Kanno in 2007 — the year the city marked its 50th birthday. Collins said he continued to meet Kanno for breakfast over the years. “There are those who just worry for themselves, yet he talked and talked about taking care of people, making sure everyone felt safe and comfortable,” he said. In addition to his wife and elder son, Kanno is survived by his children Beth, Stephanie and Conrad; and six grandchildren.